Union Avenue Opera opens its Nineteenth Festival Season with Leonard Bernstein’s Trouble in Tahiti. Written in 1952, the one act opera portrays the troubled marriage of a young suburban couple, Sam and Dinah, and follows the roller coaster of emotion as they try to reconcile their love. Although Bernstein set his opera in the 1950’s, the Union Avenue Opera production moves the action to the present day. Allyson Ditchey directs the production as Union Avenue veterans Ian Greenlaw and Kara Cornell portray the unhappy couple. Also featured is a vocal trio with accompaniment from a jazz combo led by Henry Palkes. After intermission, the performance will continue with a cabaret featuring music from Bernstein’s songbook including selections from West Side Story, On the Town, Mass and more. Baritone Ian Greenlaw grew up in St. Louis and in addition to his work with Union Avnue Opera, has performed with Opera Theatre of Saint Louis, the St. Louis Symphony, the Metropolitan Opera and many other opera companies and orchestras. 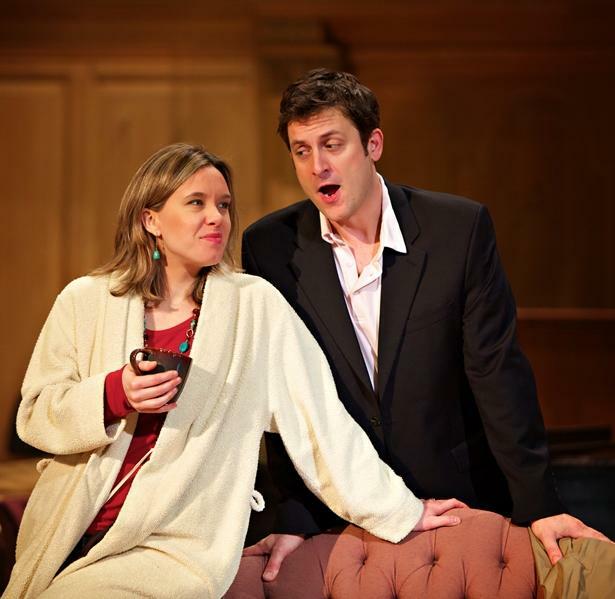 Mezzo-soprano Kara Cornell is an operatically trained crossover artist. In addition to performances with major opera companies, symphony orchestras and choral ensembles, she also has extensive experience in musical theater and ventures in the jazz and pop genres as well. Greenlaw and Cornell were Steve Potter’s guests on Cityscape to discuss Union Avenue Opera’s production of Trouble in Tahiti. Union Avenue Opera was founded in 1994 by Scott Schoonover. The season continues in July with Puccini’s Madama Butterfly and concludes in August with Wagner’s Die Walkure, the second opera in Jonathan Dove’s adaptation of the Ring Cycle. Union Avenue Opera Presents Bernstein's "Trouble in Tahiti"
Union Avenue Christian Church, 733 Union Blvd.